WASHINGTON (AP) - Virginia investigators say they've found no evidence of abuse at a detention facility after immigrant teens described being strapped to chairs with their heads covered with bags. The investigation found the Shenandoah Valley Juvenile Center does use restraint chairs on "out-of-control" residents considered a safety threat, but that doesn't meet the legal threshold of abuse or neglect. Regulators made several recommendations to improve conditions inside the facility. Virginia Gov. 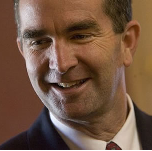 Ralph Northam ordered the review in June, hours after The Associated Press published first-person accounts by children as young as 14 who said they were handcuffed, shackled and beaten. They also described being stripped of their clothes and locked in solitary confinement, sometimes strapped to chairs with mesh bags over their heads. A federal civil-rights lawsuit against the facility will proceed.